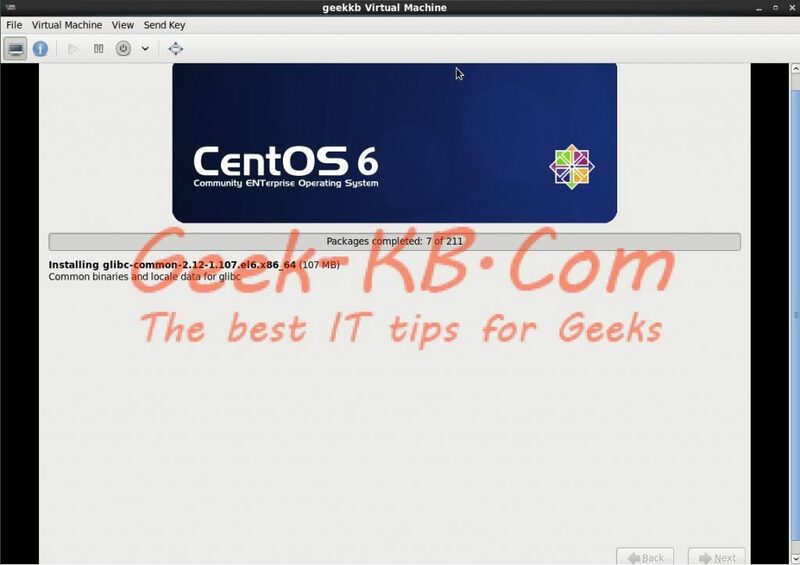 In this article, I will guide you step by step how to install CentOS 6. CentOS (“Community Enterprise Operating System“) is a Linux distribution that attempts to provide a free enterprise class computing platform which has 100% binary compatibility with its upstream source, Red Hat Enterprise Linux (RHEL). As of versions 5.10 and 6.4, CentOS officially supports the x86 architecture with Physical Address Extension (PAE) and the x86-64 architecture, while a beta release is expected to be available for the PowerPC architecture. The first CentOS was based upon RHEL version 2.1AS, and was numbered as CentOS version 2. A physical machine with a cdrom or a thumb stick or a virtual machine. I’ll run the installation on a virtual machine but it works exactly the same as with a physical machine. So we begin with inserting the CentOS installation media to the cdrom/thumb stick and start the machine. Press ‘Enter’ to select the first option, that is “Install or upgrade an existing system”. This step is a very legacy one, it was relevant for the old days when we used a cd to install the machine (rather than a thumb stick or an image). I never let it test the media because i’m always installing from an iso image but if you feel the media might be damaged or corrupted then testing it can be smart, otherwise just use ‘Tab’ key to go to Skip and hit ‘Enter’. Use the mouse or ‘Tab’ key to get to the the Next button and click ‘Enter’. Choose the language you wish to install as the default one and click Next. 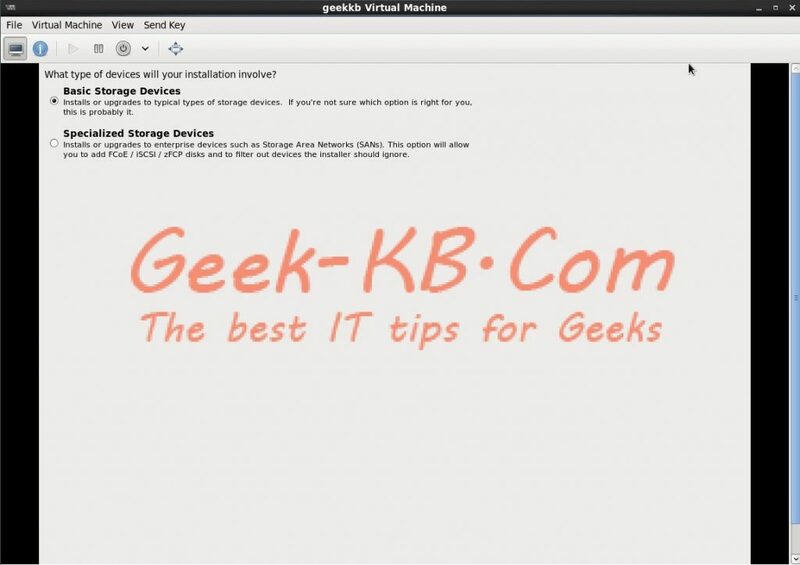 Choose the type of storage we’re going to use, I choose Basic Storage Device and click Next. For example, let’s say I have 8gb ram in my machine and the default layout gives you only 4gb swap space, In that case I would take 4gb’s from the /home partition and add it to the swap partition. If the layout is good for you, then simply hit Next. Choose where you would liketo install the boot loader, if the default choice is ok with you then just click ‘Next’.